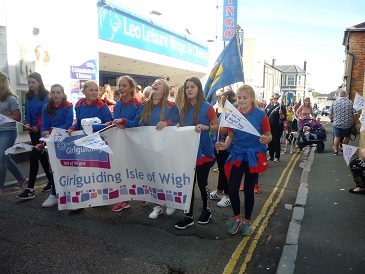 GIRLGUIDING IW MEMBERS AT ISLE OF WIGHT DAY PARADE. 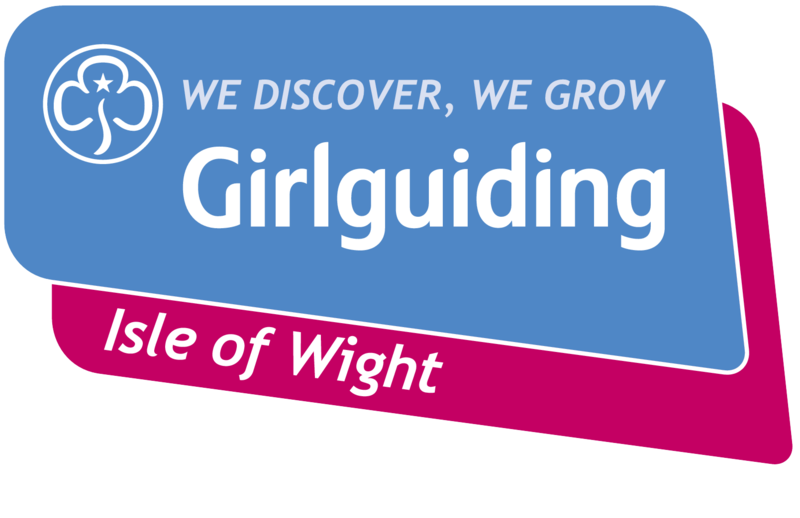 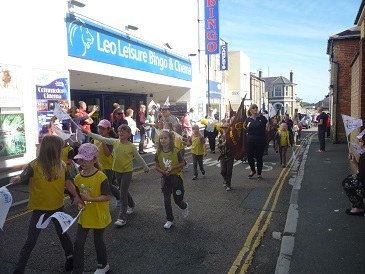 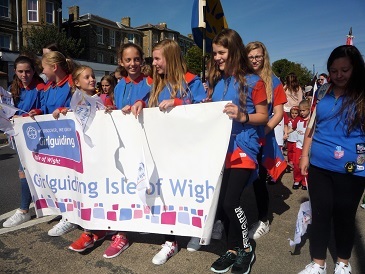 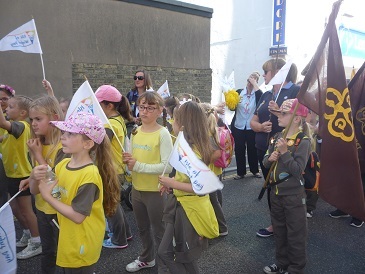 Well over 100 members of Girlguiding IW joined in the celebrations for the 2017 edition of Isle of Wight Day. 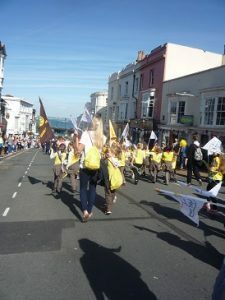 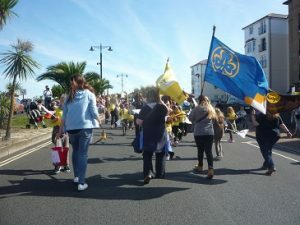 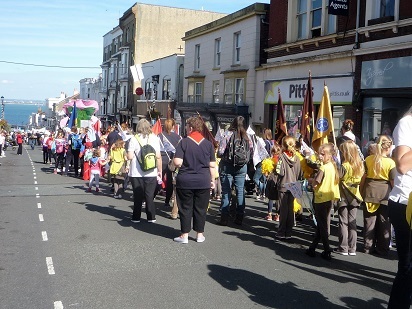 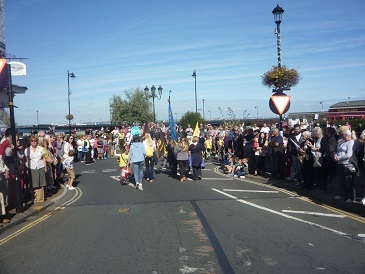 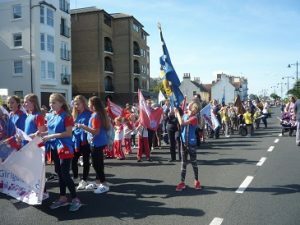 In warm and sunny weather the long parade of Isle of Wight organisations wound its way through Ryde from Dover Street to the Simeon Street Recreation Ground via Ryde High Street, Union Street and the Esplanade. 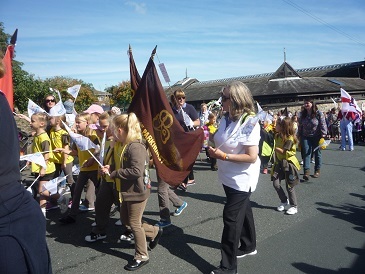 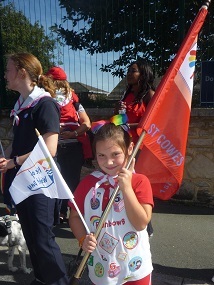 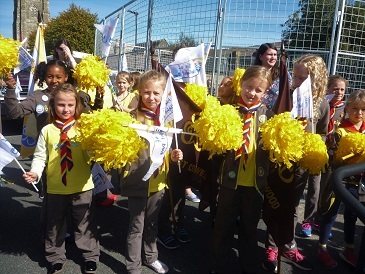 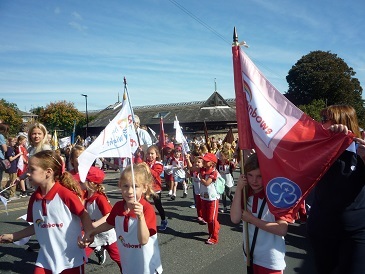 With flags flying and banners aloft all the girls, from the youngest Rainbow to members of the Senior Section together with leaders walked the winding route. 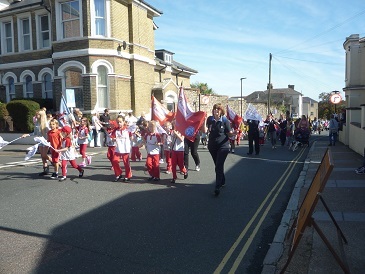 Thousands of spectators lined the route and the parade also included carnival floats and marching bands. Leading the parade was High Sheriff Ben Rouse on the open- top deck of a Southern Vectis bus. 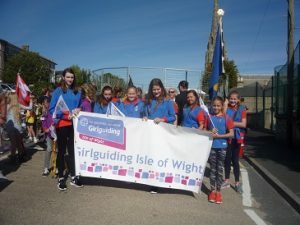 He was joined by Lora Peacey-Wilcox, (IW Council Chairman), The Mayor of Ryde- Henry Adams, Robin Courage MBE, founder of IW Day and others for the trip around the town. Following the parade, a fun afternoon of entertainment was held at the recreation ground including the formation of a map of the Isle of Wight with everyone there forming the diamond shape of the Island. This was recorded by an overhead drone. Let the pictures tell the story…..